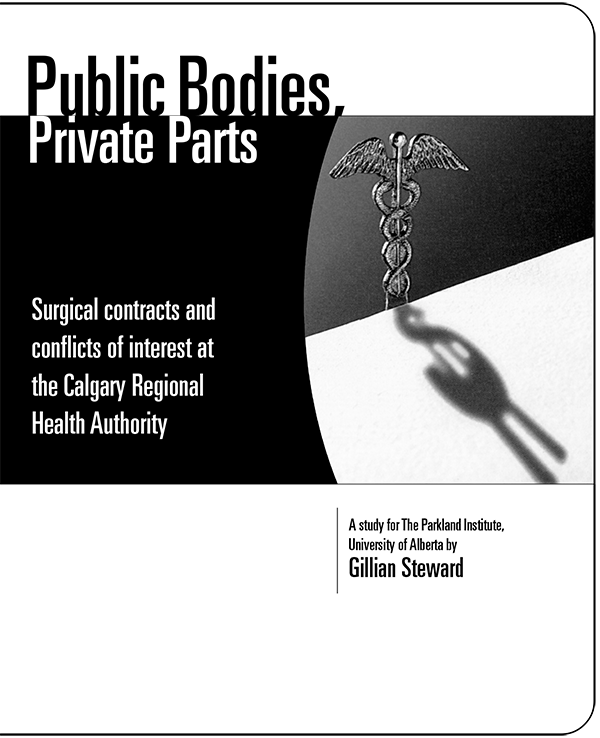 If current practices at the Calgary Regional Health Authority (CRHA) are any indication, these private hospitals will become part of a confusing web of partly public, mostly private, forprofit health care services that will further erode Medicare as most Canadians know it. Doctors will be allowed to work in both the public hospitals and the for-profit hospitals thereby draining the public hospitals of staff and resources. In addition, senior medical officers of the CRHA will be allowed to hold financial interests in these private hospitals just as they now do in private surgical clinics that contract with the CRHA. The CRHA currently contracts out more surgical services to private, for-profit clinics than any other regional health authority in Alberta. But these contractual arrangements raise many serious questions about conflicts of interest and appear to favour private interests rather than the public interest.